Bonny Bridal is one of those rare brands that lives up to its name. Based in sunny Orange County, California, and founded over 30 years ago, Bonny’s designs are hand-crafted and sewn with the highest quality of fabrics, beads, and lace. Bonny Bridal designs are inspired by three essential elements – style, romance, and tradition. From this foundation, Bonny prides itself on its affordability and high standards, while offering selections appropriate for all tastes and body types. With nine unique and eye-catching collections, Bonny Bridal’s portfolio is certain to include the perfect gown for any bride. By way of example, the “Unforgettable” collection is especially flattering for voluptuous brides and exudes style and class. The word “classic” comes to mind, so for timeless photos and memories, brides-to-be should consider the aptly named Unforgettable line. The “Mystique” line features unorthodox and vivacious dresses, with a range of colors and styles aimed at non-traditional or multi-cultural weddings. Any gown from this collection will be empowering and exhilarating for the bride and certainly memorable for anyone lucky enough to witness a Mystique worn down the aisle. The “Essence” collection is bold and modern yet evokes a sense of tradition and romance. These gowns seem to flow and embellishments are muted yet striking. This line of dresses does much to both accentuate the natural figure of the bride as well as draw attention to the distinct style of the gowns. Considering Bonny Bride’s wide selection, vibrant designs, and history of strong service, many customers assume the worst in terms of cost. 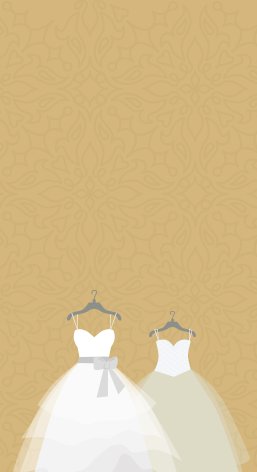 However, Bonny Bride prides itself as much on accessibility as it does design, so brides of any means are able to select the perfect dress for their perfect day.